The Supporting Service Children in Education Project was established in 2014 following a successful bid into the MOD Education Support fund. 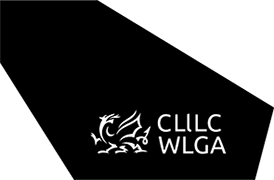 The WLGA established a new all-Wales project officer post to focus on the absence of available data and level of awareness in schools/local authorities across Wales; regarding the potential impacts of mobility and deployment of the children of armed forces personal, veterans and reservists. The first year established a baseline picture for Wales, exploring some of the challenges to data collection and levels of awareness via a Wales Data Unit study, and focused on the development of resources for schools, local authorities and parents. Since then the project has received continued funding to develop the work across Wales, establishing a website Supporting Service Children in Education Wales, virtual network, video resources and the first all Wales Service Children in Education Conference. The second all Wales Service Children in Education Conference was held on 12 June 2018 at Cardiff City Stadium, open link here for further details. During the event SSCE Cymru published its research report on experiences of service families with children with additional learning needs in education in Wales, the Welsh Institute for Health and Social Care, University of South Wales and Arad Research were commissioned to undertake the work. Open link here to view the report. Produced by the Project to promote the experiences of service children in education and show how schools are helping.